During the last 2,300 years exiled knights, farmers, hermits, pirates, prisoners of war have been posted, imprisoned, settled or visited Comino - latterly many tourists. Although there is evidence of people living on Malta and Gozo during Neolithic (around 5000-4100BC) and Bronze Age times (around 2500-700BC) nothing of substance has been found on Comino to date of such occupation. Like its near neighbour Italy, particularly Sicily, Malta has had many of the same rulers or occupiers – the Phoenicians (700 -550 BC) and Carthaginians (550-218BC), then Romans (218 BC-535AD), Byzantines (535-878), Aghlabid Arabs (870-1127), Normans (1127-1194), Swabians (1194-1266), Angevins (1266-1282), Aragonese (1282-1530). Then for two and a half centuries came the International Order of the Knights of St John of Jerusalem (1530-1798) after their ejection from Rhodes in 1522. Finally at the invitation of the Maltese people after a brief French occupation (1798-1800 AD), the British (1800-1964 AD). Just to bring things up to date Malta (all the islands) became independent in 1964 and a republic in 1974. It joined the European Union in 2004. Comino has been inhabited by farming people since 218 BC. Comino has been inhabited by farming people since Romans ruled the Maltese islands (218 BC-450AD) but for long periods of history it was sparsely populated or abandoned completely. Aghlabid Arabs came to the Maltese archipelago in 870. Sometime after this date the islands were abandoned and left uninhabited until around 1048. Between 1285 and around 1290 Comino was the home of the exiled prophetic cabbalist Abraham Abulafla who wrote Sefer ha-Ot (The Book of the Sign and Words of Beauty) and was known as ‘the Spanish Messiah’. Legend has it that a hermit named Kerrew/Saint Corrado travelled across from Malta on his cloak to visit the Cabbalist. When the Knights of St John arrived in the Middle Ages they used Comino as a hunting ground for wild boar and hares and other recreation. The Knights enforced strict rules about poaching and if caught, poachers would be liable to three years as a galley slave. Offending knights would also be exiled to the Santa Marija Tower for three years to guard the island from intruders and pirates, and were based at the tower. The historical evidence records that pirates and corsairs (privateers who were private war-mongering navies from the so-called Barbary Coast of North Africa) used the island during the Middle Ages as a base to raid Gozo, Malta and beyond. The large number of caves provided excellent hiding places for them. Farmers from Malta and Gozo settled on Comino, though the population fluctuated and ultimately declined substantially. Land was cultivated amongst the garigue and cliff edges in small stony fields called redums. The population was at its peak at approximately 150 between 1798 to 1800 when the island was used as a prison and exile centre. In 1837 it was estimated at 26; in 1850 around 26; in 1881 the population was 33, comprising 20 males and 13 females, and in 1891, with 25 males and 18 females, half of whom were under the age of 5. By 1946 the population was 77; in 1948 it was 68 and by the mid-1960s had declined to around 30. 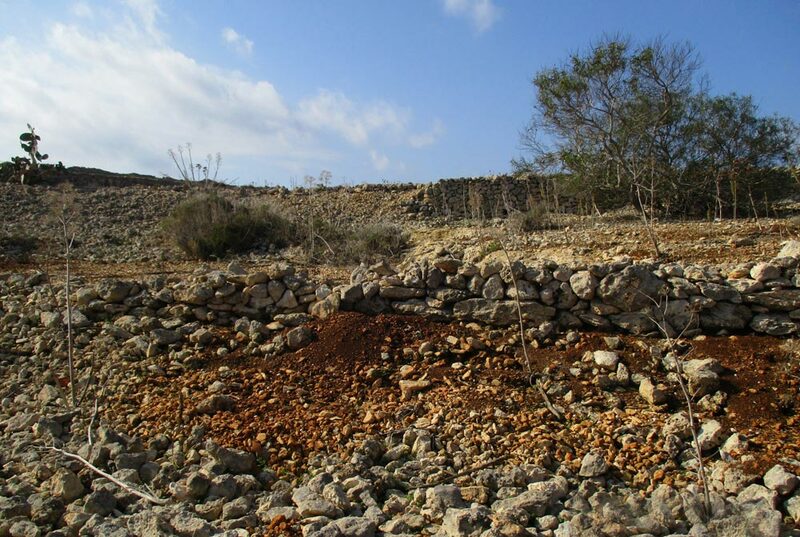 In 1926 the island was leased to Zammit Cutajar who established the Comino Farming Company. The company initially employed local families including relatives of Salvu. Later Zammit Cutajar employed workers from Sicily who grew the crops including onions, potatoes, tomatoes, watermelons, barley and wheat. 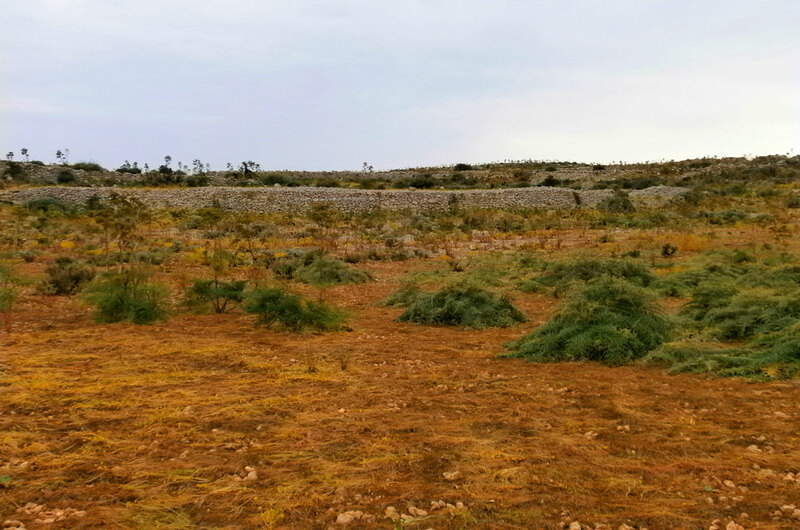 In all about 162 hectares were under cultivation. We have been told that Comino peaches and plums were very special. At one stage snails, then plentiful on the island, were collected and exported to Italy. The workers for Cutajar were placed under four year employment contracts. The lease was relinquished in 1960. 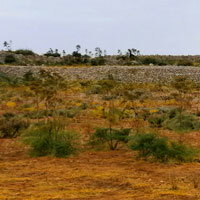 Agricultural activity is evidenced by the large number of dry stone walls that criss- cross the island but now many of these have collapsed and as a result soil erosion has occurred. 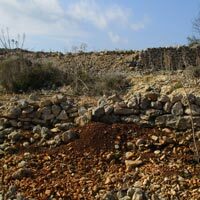 The stone walls were built to retain the soil and to delineate the farmer’s plot. The government then granted a lease for the island to the Comino Development Company Ltd a company owned by John Gaul who built the hotel and summer bungalows in the early 1960s. The lease was to run for 150 years at an annual rent of £100/141 Euros. Subsequently the lease was renegotiated just to include the footprint of the area occupied by the hotel and self- catering bungalows. There is a memorial to John Gaul on the island. His son Simon wrote one of the most entertaining and informative guide books to the Maltese Islands in the 1960s.